Keith Urban admitted a while back that he likes to have a good crying session once a month. And now he’s opening up about why. While chatting with Australian journalist Andrew Denton for the show “Interview,” Urban said that “accumulative things that didn’t really warrant a cry at the time” eventually add up. “I mean, little things,” he said. “The passing of time, kids growing up, the loss of friends [and] loved ones for all manner of reasons. All of it.” Real men do cry! This isn’t the first time Urban has spoken about shedding tears: In a 2016 interview with Rolling Stone, the 50-year-old country artist explained that opening the floodgates regularly allows him to release any emotional buildup. During his interview with Denton, Urban (who has two daughters with wife Nicole Kidman) also discussed how difficult it can be to find a decent balance between his career and spending time with his family. 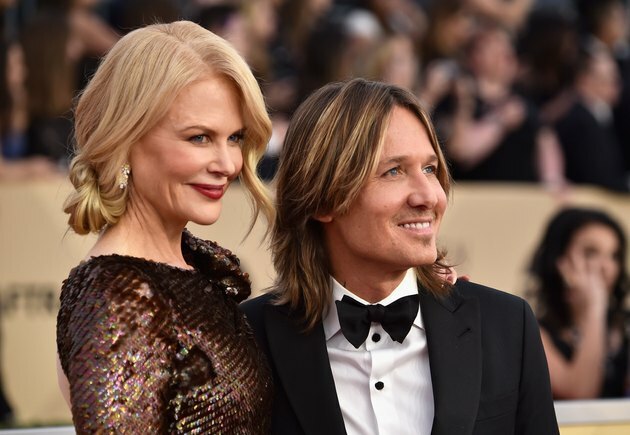 So how has he managed to stay with Kidman for more than 12 years, despite the odds of a lasting marriage in Hollywood? The secret lies in a choice the two made at the beginning of their relationship to prioritize communication and intimacy by calling each other rather than sending messages. That’s right, the pair have never (ever) texted. Not only has Urban found a healthy way to relieve himself of pent-up emotion, he’s also helping to remove the stigma that men often face when it comes to talking about their mental health. Research shows that although 6 million men suffer from depression every year, they’re far less likely to talk about it. But as Wendy M. O’Connor, Psy.D., a licensed marriage and family therapist with a private practice in Brentwood, California, points out, hearing male role models speak about their mental health can help to normalize the conversation among boys and young men. Which can only be a good thing. So we’re all for Urban singing the praises of a good cry! How often do you cry? How can we continue to destigmatize talking about mental health among men? Share in the comments section.